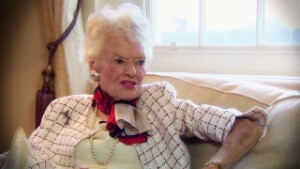 Eve Branson, mother of the Virgin Group founder Richard Branson, runs the not-for-profit Eve Branson Foundation that provides training projects to local communities in Morocco. 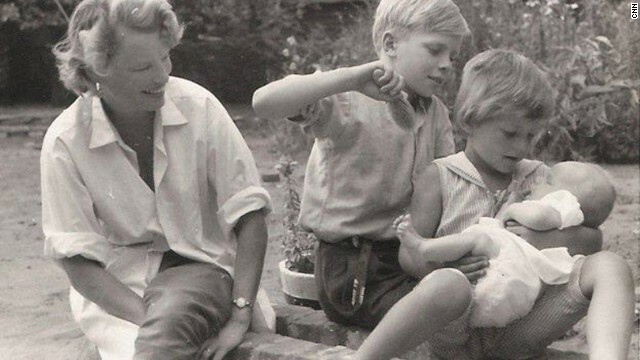 Here, Eve Branson is pictured with her children Richard, Vanessa and Lindy in a photograph from 1959. Mary-Lee Berners-Lee's eldest son Tim is the inventor of the World Wide Web, but she too had a successful career of her own, working on the development of some of the earliest computers in late 1940s. 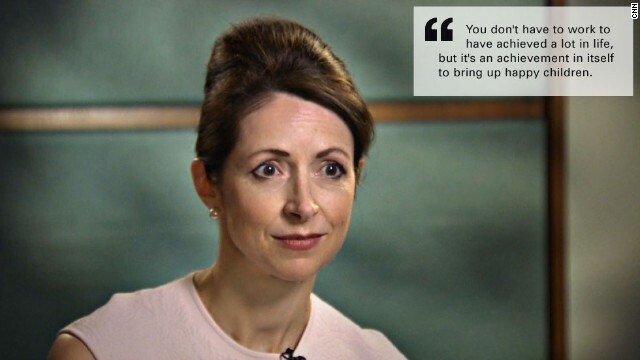 Helena Morrissey is chief executive of Newton Investments and a mother of nine children. She is often dubbed the "City Supermum" but says it's "a lot of hard work." Judy Murray is the mother of two Wimbledon winners -- her older son Jamie won the mixed doubles competition in 2007, while Andy, her younger, won the men's championship in 2013. 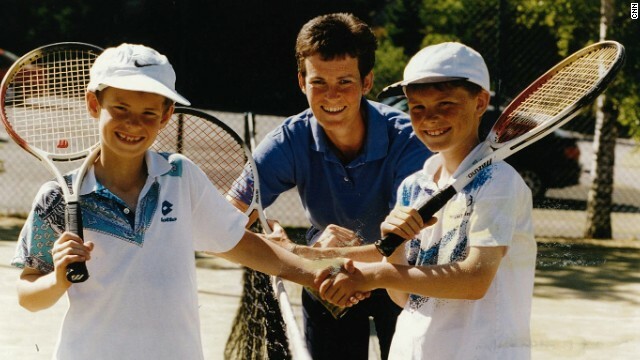 Here, Judy Murray is pictured on a tennis court with her two sons -- older Jamie and younger Andy. Maye Musk, mother of business magnate Elon Musk, is a longtime model who runs a successful nutrition business. Jo Wood is the former wife of Rolling Stones guitarist Ronnie Wood. Raising a family on tour may have been unconventional, but that didn't prevent her Wood from giving her offspring a solid grounding. 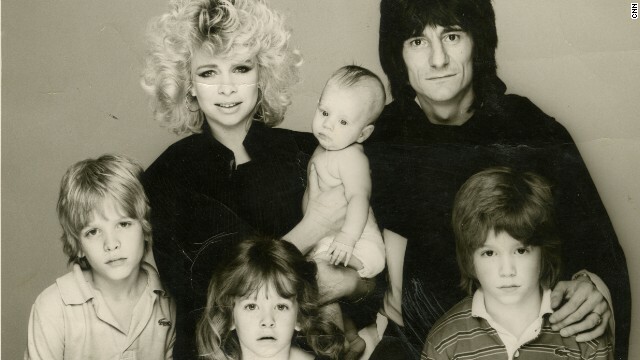 Pictured here is Ronnie Wood with Jo and their children in early 1980s. They had two children together -- daughter Leah and son Tyrone, and they each had one child from previous marriages. Editor's note: Nina dos Santos is a news anchor and correspondent based in London. 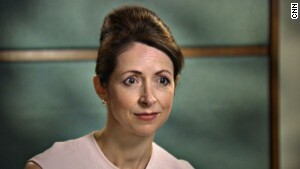 She is the host of CNN International's new business show, The Business View, which airs weekdays at 12pm CET. Follow her on Twitter and tell us, using the hashtag #cnnbusinessview, what did your mother teach you? 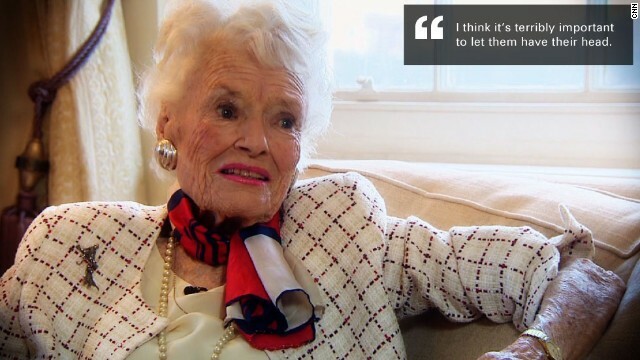 (CNN) -- Perched on a sofa in her West London apartment, Eve Branson recounts early memories of her son Richard. Disciplining him, it seems, was delicate business. "He was like a ball of fire as a little boy," the 90-year-old told me. "Like a thoroughbred. You didn't want to pull the reins too hard and spoil him, spoil his adventures and his madness but you had to pull a little bit." His single-mindedness began to reveal itself when he was just three or four, she recalls. Branson ran off and hid at a local farmer's house after a strong reprimand. "Eventually someone rang to say 'We've got a little blue-eyed boy here? Does he belong to you?' Gosh was I relieved." 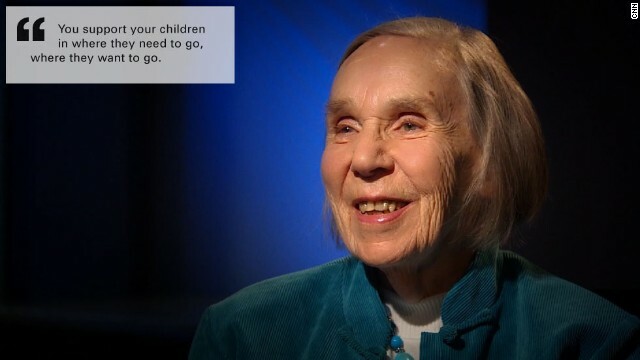 Now, her son has a knighthood, is worth more than $5 billion according to Forbes and is one of the world's most able -- if eccentric -- entrepreneurs. But what was the secret to such success? Does tough love breed success or is support and encouragement key to raising tomorrow's tycoons? I set out to answer these questions in a series of interviews with the mothers of sports stars, tech pioneers and rockers and discovered they had many traits in common. Branson, it seems, was not the only budding businessman with a mind of his own. Maye Musk, mum of PayPal magnate Elon, has a similar story. The South African model and nutritionist laughs nervously as she recalls the time she left a young Elon Musk behind at home for misbehaving while taking her other children to visit their cousins. It was a 20 minute drive away or four hours on foot, she says. Just as she was leaving Musk says her son turned up out of nowhere. 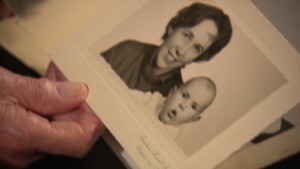 "I saw this tiny little boy, just past toddler stage, coming down the sidewalk. It was Elon. He'd walked there! I was horrified." Now aged 42, her son has revolutionized the world of e-commerce and electric vehicles through his companies Paypal and Tesla. And just like Branson, who soon aims to make passenger space travel a possibility, Musk is taking on the final frontier: with a contract from NASA for his firm Space X to transport orbital cargo. Maye says her each launch leaves her "anxious and shaking and sick," with relief finally coming with success. It's a reaction Judy Murray can sympathize with. Murray has raised two successful children, both of whom hold Wimbledon titles. Older son Jamie is a doubles champion while her youngest is the singles title holder Andy. When Andy Murray clinched the Wimbledon title last year, the first Briton to do so in 77 years, his mother couldn't look. "I buried my face because I knew the cameras would be on me." Murray, herself an accomplished tennis player and coach, introduced her sons to the sport as a way of keeping them busy, but never expected her family name to make the sport's hall of fame. "As eight and nine year olds they were exceptionally good tennis players...but when I saw Andy holding the trophy, I just thought "I can't believe it," she says. 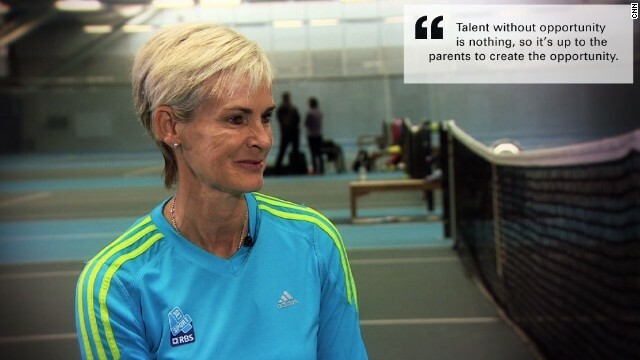 Judy Murray has been accused of being pushy but says people "make assumptions because they don't know me. "I've heard Andy and Jamie being asked that before and they say 'my mum never pushed us.' That's why they are still doing what they are doing, because they love what they are doing." I used to think my children were terribly well behaved but when I look back at this I realize it wasn't always so. Another famous son inspired by his parent's passion is Tim Berners-Lee, the inventor of the World Wide Web. The child of two computer programmers and maths aficionados, Berners-Lee grew up in a household of calculus before bedtime. His 90-year-old mother Mary-Lee shows me a sketch drawn by a family friend on holiday one year depicting a young Tim and three siblings in animated conversation; the word "Noise" scribbled above their heads. "I used to think my children were terribly well behaved but when I look back at this I realize it wasn't always so," she says. She recalls evenings around the dinner table, when the family would try and solve maths problems. If his parents were unable to crack it, Tim Berners-Lee would step in, she told me. "It was all terribly good fun." But good mothers don't always choose the conventional path: Jo Wood, who raised her three kids while on tour with the Rolling Stones, felt it important to educate them on life as a rocker's offspring. Describing the moment she offered her son and daughter cocaine and cannabis, respectively, Jo says she felt "like a lioness showing her cubs the world and what was out there." Did that make her a bad mother? "Luckily it didn't backfire," she says. Now a grandmother, Wood has fond memories of the days she spent on the road with her family and the Stones. "I used to love it. We'd just pack up and it was like we were all going on an adventure." And in many ways Wood was a mother figure to the whole band. "I loved Charlie for his wonderful cold sense of humor, and of course I loved Ronnie, Keith has a special place in my heart and Mick, you never know where you stand with him. One minute he can be fabulous and then next he'll ignore you." Wood credits her kids, art dealer Jaimie, singer Leah and youngest son Tyrone, with helping her through the breakdown of her marriage. She is now runs her own beauty brand and says "my kids kept me sane through all of my hard times," she says. "They'd call me up and make sure I wasn't alone. They'd take me clubbing. And just like the other famous mothers I met she concludes: "My kids are great. I know I wouldn't be the same without them."